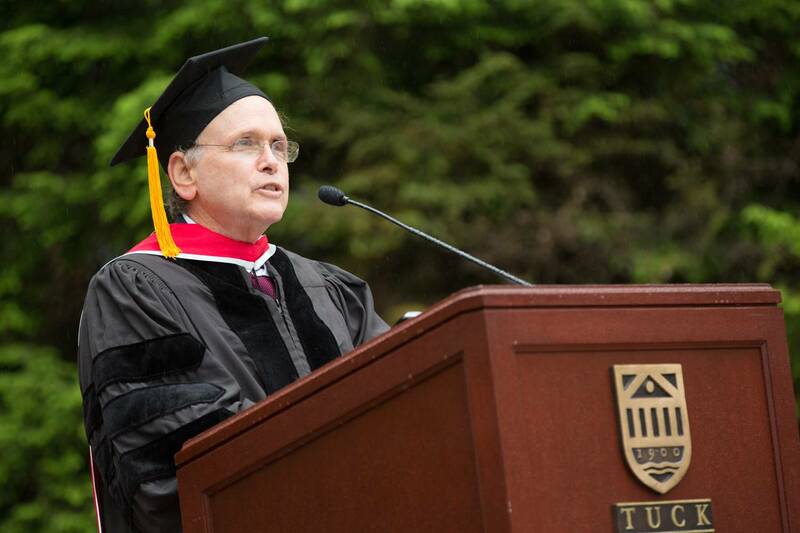 Dr. Daniel Yergin, a Pulitzer Prize-winning author and one of the world’s foremost authorities on energy and the global economy, will deliver the main address at the 2016 Tuck Investiture ceremony June 11. Yergin, who will also receive an honorary degree from Dartmouth the day after Investiture, is vice chairman of IHS, a leading economic and energy research firm, and founder of IHS Cambridge Energy Research Associates. He is the author of three books, including “The Prize: The Epic Quest for Oil, Money, & Power,” which won the Pulitzer Prize for nonfiction, and “The Commanding Heights: The Battle for the World Economy,” which depicts the interplay between governments and markets. Translated into multiple languages, both “The Prize” and “Commanding Heights” were also made into award-winning television documentaries for PBS and BBC, which Yergin co-produced, co-wrote, and narrated. Among his many appointments, Yergin serves as a director of the Council on Foreign Relations and a trustee of the Brookings Institution. He received his bachelor’s degree from Yale University and Ph.D. in international relations from Cambridge University. Tuck Investiture is a ceremony for graduating Tuck students and their guest, during which awards are presented and master's hoods are conferred. As the Tuck community prepares to welcome Yergin to Tuck in June, it will also be welcoming back to Hanover minority business program alumnus Frank Venegas, who will also be receiving an honorary degree from Dartmouth. Venegas is CEO of the Ideal Group, a family-owned steel company in Detroit he built from the ground up that today employs 500 people. He is also a committed philanthropist, one who recognizes the immense responsibility business leaders have to their communities. For Venegas that community is southwest Detroit, where he relocated his business to help lead the city’s renewal by providing opportunities to those who need them most.